Password management worth a lot especially in this modern era. You have to be aware of your passwords and need to use some easy and efficient management sources. 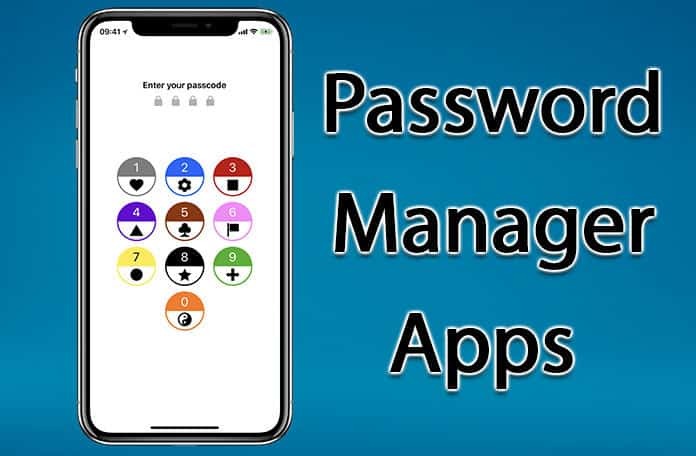 Fortunately, password manager apps are available for this purpose, and you can easily understand their working to get the desired security. 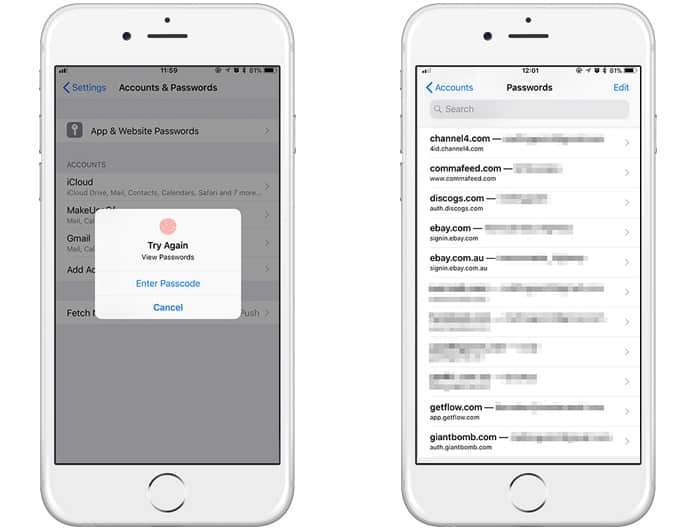 In this article, we are continuing to inform you about the ten best and top password manager apps which you can use in 2018 on your iPhone and iPad. Have a look at all of them in below. Deciding which of the best password manager apps is perfect for you can be a tough decision. So continue reading below to see which app is the best choice for you. 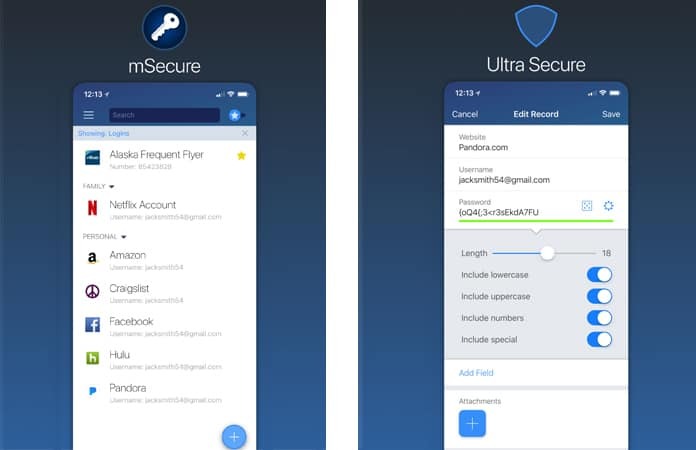 mSecure Password Manager is an app for iPhone and iPad which lets you professionally manage your passwords. It uses its 256-bit encryption to encrypt all kind of passwords, hidden codes, voice mails, registration codes, banking details and protect them against unknown access. 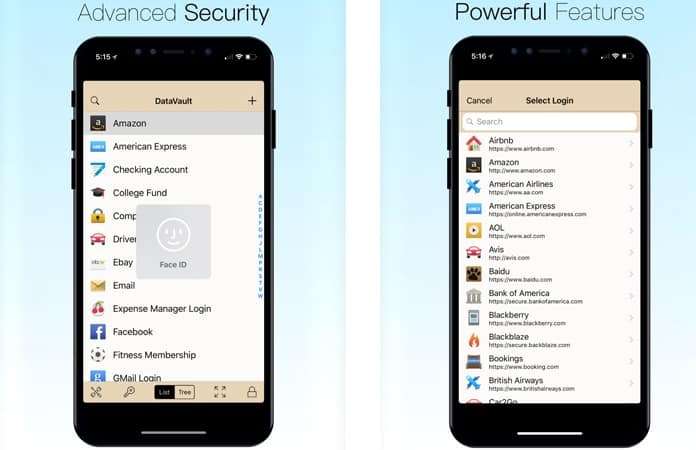 This app provides you various features including iCloud and Dropbox integration, automatic backup, auto lock, password generator, built-in browser and few other features which are useful when you think to protect and manage you’re a lot of passwords comfortably and securely. 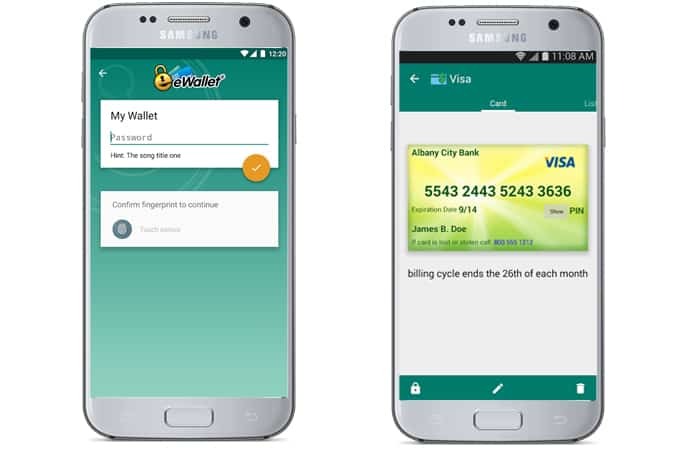 eWallet is an efficient app which is used to save different passwords and manage them using its secure database. 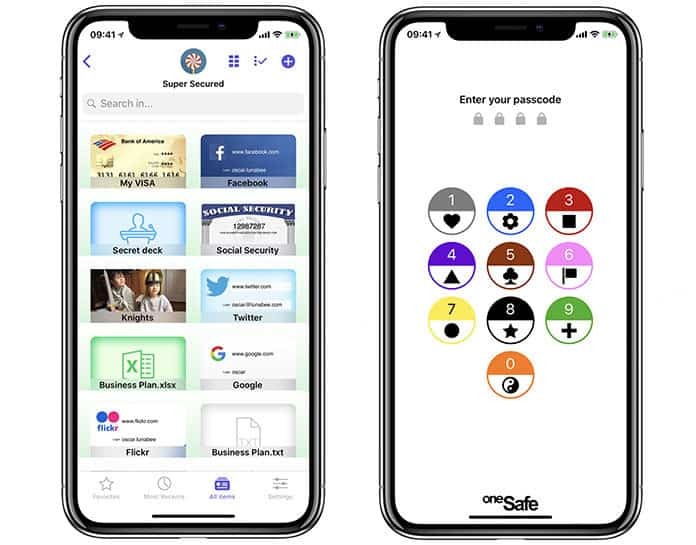 It uses 256-bit encryption to store your important passwords and numbers at a safe place which is completely protected, and you can choose this app. eWallet can be installed on your iPad and iPhone, and you can manage your bank account numbers, passwords, passcodes, credit cards details, and other numeric data which is essential for you. It also provides the features of auto-lock, iCloud integration, Touch ID support and others. These features make this app prominent and the best app for your management needs. The Codebook is a password manager app, and you can give it a try on your iOS-based devices. It is powerful, multifeatured and completely secure app. It can protect your passwords, sensitive information and data, debit & credit card details, bank and insurance details using its 256-bit encryption. 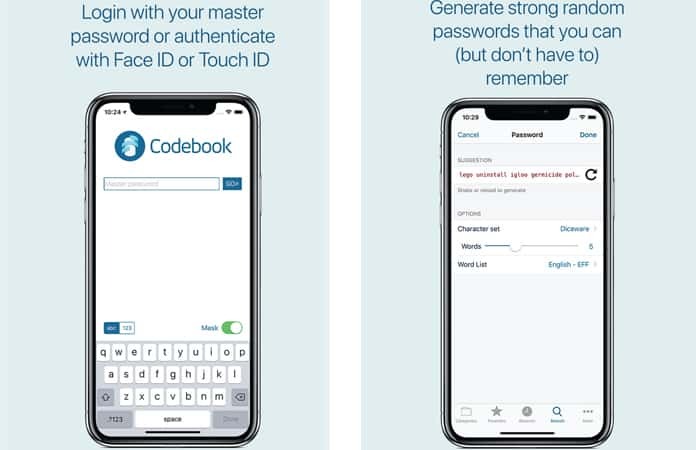 The features of the Codebook app are auto-lock options, backup over Wi-Fi, built in password generation to provide you auto-generated strong passwords, and several other features to take all advantages of this app. MiniKeePass is a perfect app for your password management needs. It is the best app which does everything itself, and you don’t need to worry about your passwords. It is an open source secure database standard, and you can open KeePass 1.x and 2.x files in a safe manner. Using MiniKeePass, you can create, edit, and import and export databases according to your needs. There are also options for Cloud syncing, Dropbox or others cloud storage, and support which is very useful to provide you the complete security of your passwords. DataVault is a fantastic password manager to be used by you on your iPhone or iPad. Its interface is straightforward to use and allow you to enjoy the benefits of its all features easily. Its features are the same which should be in any professional password manager app. You can generate strong passwords using this app and can also use its WebDAV, iTunes &WiFi sync, Dropbox, iCloud, and Touch ID support features according to your needs and preferences. 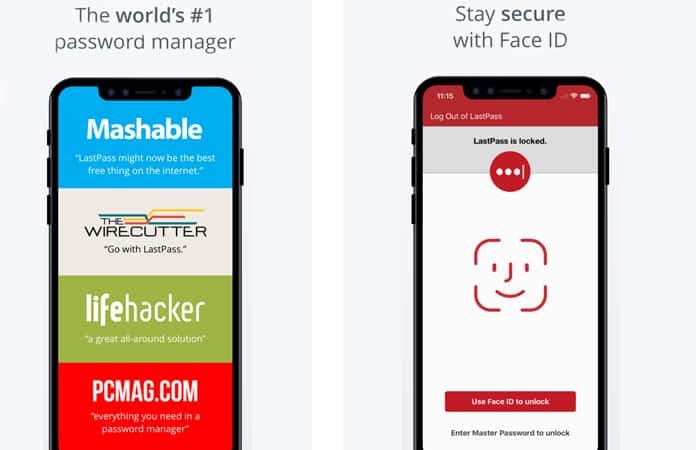 LastPass is an amazing password manager app which provides you with enough security for your passwords. You have the option to use this app to store passwords on your iPhone and can sync them to other devices just as you need. You can enjoy its features of Wi-Fi passwords, login credentials, software licenses, memberships, and other private information features for your personal needs. There is also the options for creating shortcuts for favorite items and can secure your vault with PINs and fingerprints which ensures that your password protection is high and precisely according to the security standards. 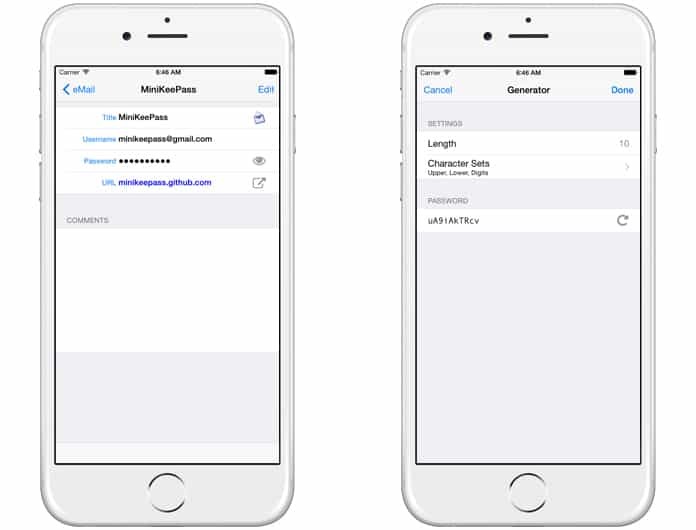 iCloud Keychain is an Apple’s password manager and built-in iOS. You need to go to Settings > Accounts & Passwords > App & Website Passwords to access the builtin feature of password security. It is primarily designed to provide password management for your Safari browser. Using this app, you can add new passwords and can also delete old ones as needed. This app only works for Apple devices and a good app for regular management of passwords. 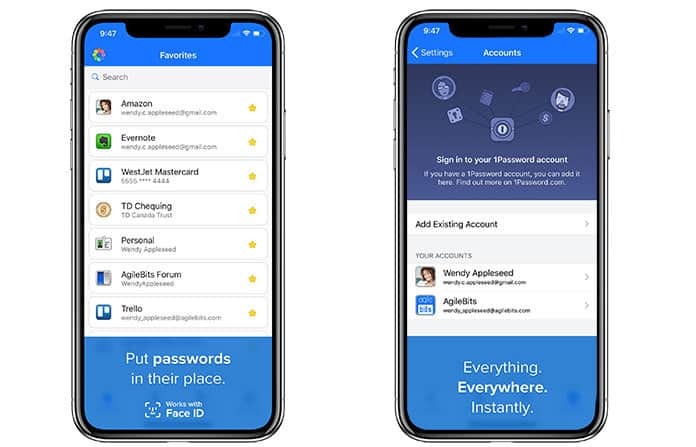 1Password is one of the oldest apps for your iPhone and iPad which is used by thousands of users for password management. You can decide to install this on your iOS based device because of its unusual and security supportive features. It will allow you to set and use multiple vaults, tags, categories of different items, favorites, Touch ID support and custom fields based on your personal needs. Its many other features allow you to sync your database, use of iCloud, Dropbox, or Wi-Fi and other modern features for the latest security of your passwords. You will also get alerts if there is any breach in the protection provided by this app. It means your valuable data is always protective and you can leave everything of your concern on this app. OneSafe 4 password manager is considered as a reliable and powerful app to protect your passwords securely. Its interface is well managed and attractive to use on iPhone, iPad, and Apple Watches. It uses its powerful and well-tested encryption algorithm to ensure that your passwords and other bank statements or any other private documents are completely safe and secure. You can use its various features too. Some of its features are Touch ID support, self-destruct mode, decoy safe, double protection, and auto-lock. 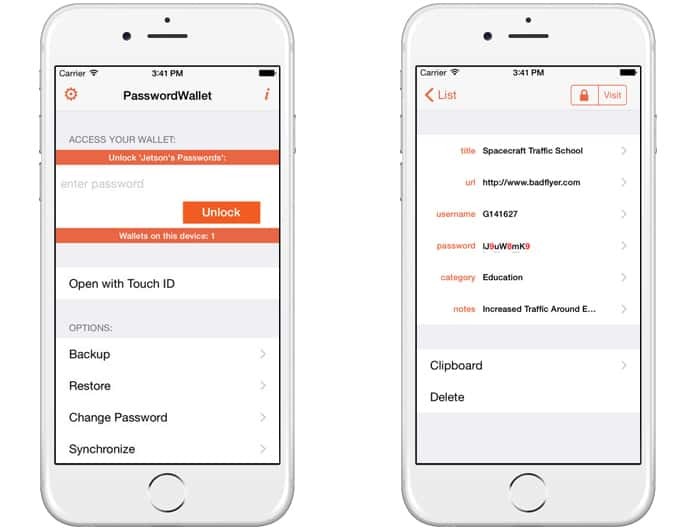 PasswordWallet is another right app for your password’s management on your iPhone and iPad. It is considered as an easy to use app which is professional and completely secure to use. Its interface will allow you to understand everything and access to an area quickly and conveniently. You can manage your secret data using its 256-bit encryption and can use its other features too. The most notable features of this app are Self-destruction, auto lock, double protection, Touch ID support, and decoy safe. Now your private information and valuable data will be protected. All you need is to download one of the best password manager apps for your iOS or Android Device.